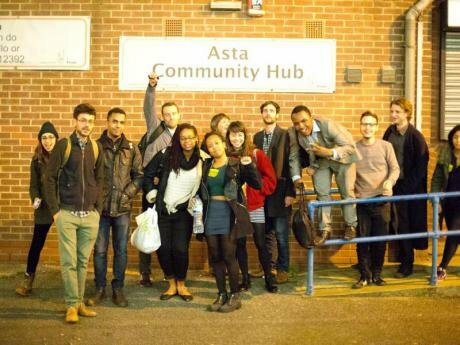 A group of young, diverse activists in London have much to teach the old parties. What a boring contest the local elections in London have produced. Like many loyal Labour party members, I will be voting for Sadiq Khan for mayor. He seems like a decent enough candidate. But I wish he had stood on a platform which came close to addressing London’s fundamental problems. And I wish his campaign had demonstrated half of the energy and imagination of Take Back the City – a new campaign group and political party which has been making some noise on the streets of Stratford and beyond (http://takebackthecity.org). Khan has proposed a set or ameliorative measures which might make life easier for a few poor people. But he has also made it very clear that as ‘the most business-friendly mayor’ in London’s history’, he will do absolutely nothing to alter the fundamental imbalances of power which ensure that this is a city run for Big Business, by Big Business, in which the voices of millions of residents are barely heard at all. At a time of national ferment, when Scotland has witnessed a political revolution and a wave of youth radicalisation has transformed the Labour party beyond recognition, the business-as-usual contest for the mayoralty has been like a comforting throwback to the era of pre-Corbyn politics. On the mayoral hustings only Sian Berry has sounded like someone who really wanted to address London’s fundamental problems. But Take Back the City, at least, have interrupted this soporific spectacle. For the past year they been organising a sequence of inspiring cultural events – mainly attracting young people of colour from London’s urban fringes (the bits where poor people still actually live) – and a series of consultations with community groups of many different types in order to produce a ‘people’s manifesto’. Their one candidate for the GLA – the inspiring Amina Gichinga – has been campaigning in Newham on a platform devised not by think tanks or focus groups, but by a programme of intense, week-in-week-out consultation and discussion with constituencies ranging from Canning Town pensioners to Kurdish youth. Today John Harris has posted a superb video about the group on the Guardian web-site. Last night I gave a lecture and hosted a discussion with Amina and one of the founders of the group, Jacob Mukherjee. Amongst other things, their ‘People’s Manifesto’ call for a radical extension of democracy in London including participatory budgeting to give communities a real sense of ownership over municipal projects. It calls for genuine rent controls in London – surely a necessary step if any sanity is to be restored to the housing market. The manifesto calls for restoration of the Educational Maintenance Allowance and a wider recognition that the right to study is different from the right jut to get a school, college or university place – probably because it has been produced in consultation with people who know that being a poor student today means having very little opportunity actually to study, squeezed as students are between high rents, the need to work long hours for low wages and a morbid fear of finishing their education crippled by debt. It calls for an £11.00 minimum wage for London and a 20% cut in tube and bus fares. I’ve been attending public events organised by Take Back the City over the past 6 months or so; I’ve also attended plenty of Labour events – both official party meetings and events organised by the resurgent radical left. For the most part, the contrast could not have been more striking. Attending a local rally organised in March by the Labour Representation Committee, I listened to a series of speakers rant at me about why I should hate the Tories. It was quite boring. It’s not that I don’t dislike the Tories. The thing is – I already know why I should dislike the Tories. That’s why I went to the meeting in the first place. Take Back the City events have been quite different – often focussed on musical or spoken-word performances, featuring highly participatory discussions including a genuinely diverse cross-section of Londoner of all ages, the palpable energy at the best of them has always left me with a deep sense that this is what democracy is supposed to feel like. Whether Take Back the City has any future as an actual alternative political party, I don’t know. But I do know that Labour and the rest of the left desperately needs this kind of energy, creativity diversity and commitment to democracy, if it is going to produce policies and political demands and which are as relevant and important as those contained in their People’s Manifesto. I would urge anyone with an interest in London politics to take a look at this document and ask themselves if this – rather than the anodyne programmes being offered by the major parties – isn’t exactly what London needs right now if it is to survive as a liveable city.